Kale is a nutrient-packed powerhouse and yields some fantastic dietary benefits including iron, Vitamin K, calcium, and an antioxidant boost. It’s funny to think that something I wasn’t crazy about at first attempt is now one of my all-time favorite greens. 1) Kale chips. 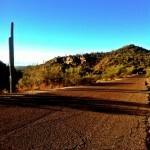 These are so much easier to make than they seem, and much more cost effective. I’ve noticed that a bag of kale chips will average around $6 at the health food store, and you can make a giant batch for less than 5. In a high-speed blender, blend the cashews, salsa, lime juice, jalapeño and nutritional yeast until you have a smooth and creamy mixture. 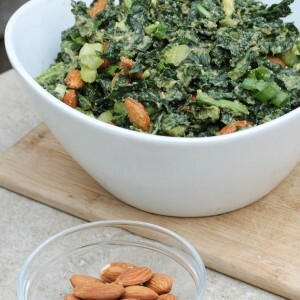 Place the kale in a large bowl and pour the cashew mixture on top. 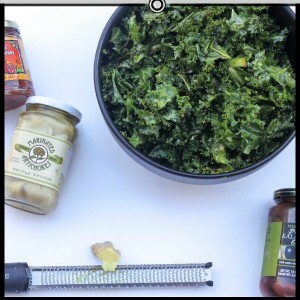 Place the coated kale onto a baking sheet or Teflexx-lined dehydrator sheets if you’ll be using the dehydrator. Sprinkle with extra nutritional yeast and a little sea salt. Dehydrate at 115 degrees overnight, until crispy and perfect. You can also cook these in the oven with the door ajar on the lowest setting. 2) Massage it. Turn the lights down low and put on a little John Legend while you’re at it. Use a fork to mash the avocado into the liquids and spices until you have a smooth, creamy dressing. Massage the mixture to fully coat the kale, using both hands. By doing so, you’re helping to break down the kale which slightly wilts it and will make it easier to eat. It gives raw kale a “cooked” texture without heating. 3) Saute it. Add a little olive oil, butter or ghee to a pan on medium heat, your kale, and season well with garlic, sea salt, pepper and cayenne. Squeeze fresh lemon juice on top and serve. 4) Use it as a wrapper for a sandwich or lettuce wraps. 6) Juice it. A little goes a long way, and it’s a great way to add a green boost to fresh juices. Hint for juicing greens: “sandwich” them between something firmer, like a cucumber or apple. I’ll add a chunk of apple, some kale or spinach and another chunk of apple before pushing the entire thing through the juicer. Veggie you once hated but now love? Hope you have a lovely night! I LOVE kale! Kale chips are one of my favorites and I recently started added it to my green smoothies and was amazed that you cannot even taste it in there! Yum! Gotta make those chips! Yay! My favorite easy dinner is kale, mushrooms, and a sliced link of Trader Joe’s chicken sausage sauteed together – sooo yummy and easy! I love me some kale. 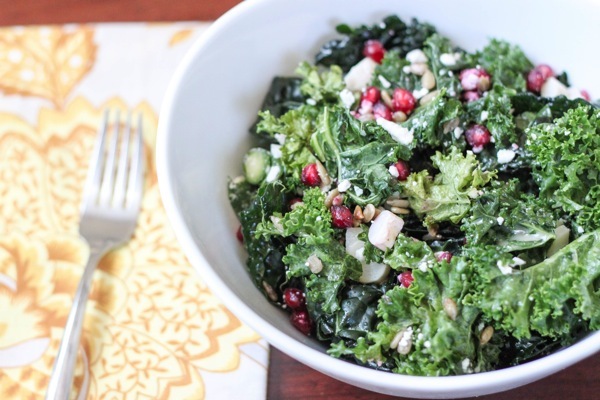 My favorite recipe is the kale salad recipe from Angela on ohsheglows. I think it’s called the best kale salad. Can’t wait to make the kale chips!! I would put kale in the category of an “advanced green” for someone trying to eat healthy, i.e., it’s such a strange taste that it can easily turn someone off. I’ve loved kale for some time and use it in many ways. I saute it in coconut oil, salt and pepper to taste and put it on top of pasta. I also mix it into my green smoothies. One thing I haven’t done is massage it with dressing for a salad, so that’s up next. What do you think of mustard greens? I see those in the fresh greens section at the grocery store and haven’t tried them yet. I do love kale! Love it in smoothies, and lately, my fave is just sautéing in a pan with EVOO and pink sea salt until it’s crisped up. YUM! I love kale! It’s been making a more frequent appearance in my salads especially now that it’s so hot here. Brussels sprouts I used to hate but now I love them. They are like candy to me! 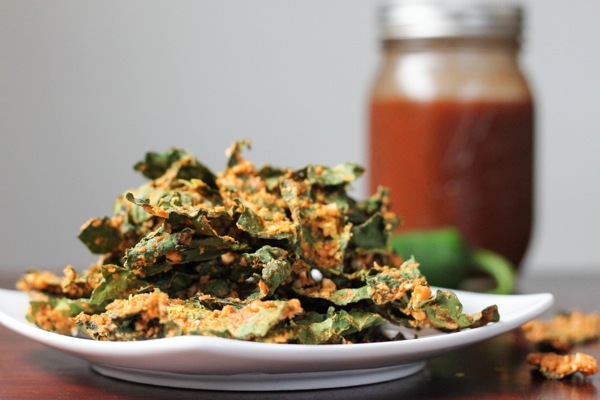 Your kale chips are the bomb dot com. I love them!! 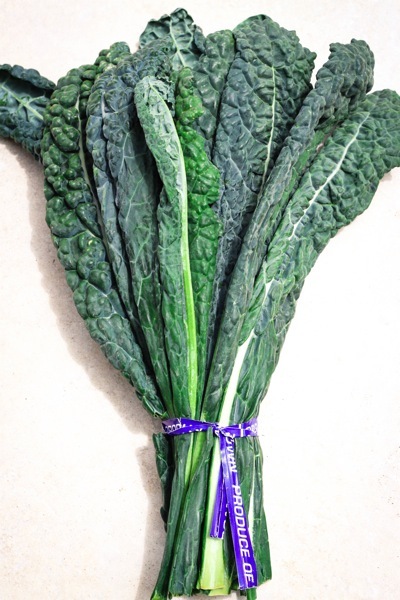 Kale is one of my favorite veggies! One tip for taking the stinky-ness out for smoothies: de-stem the kale and put it in a ziplock bag and freeze overnight. Then you can add it to your smoothie and there is no stinky feet taste. Also, you can keep it longer and preserve the nutrients by freezing. Perfect for those of us with an over abundance of kale from the garden! 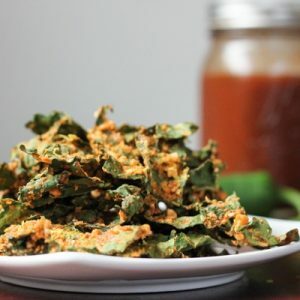 I love the idea of Kale chips, I have only tried them once and I overcooked them a little so they weren’t so flash, I really should try again! Ha ha ha, I love kale in my smoothies. 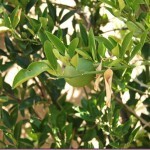 I think the key is to only use one leaf and then the other fruit hides the taste. I didn’t love kale until I learned the massaging technique from you! Now it’s my favorite! I love it massaged with olive oil, salt, garlic and lemon, topped with pecorino Romano. So good! I haven’t made kale chips in a long time! Looks yummy! 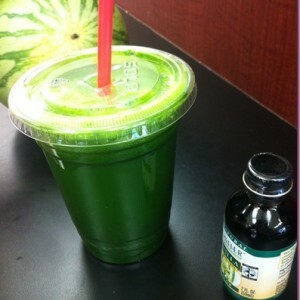 I usually put kale in my green smoothies to get my nutrients in the morning! Oh wow, I want to try ALL of these!!!! 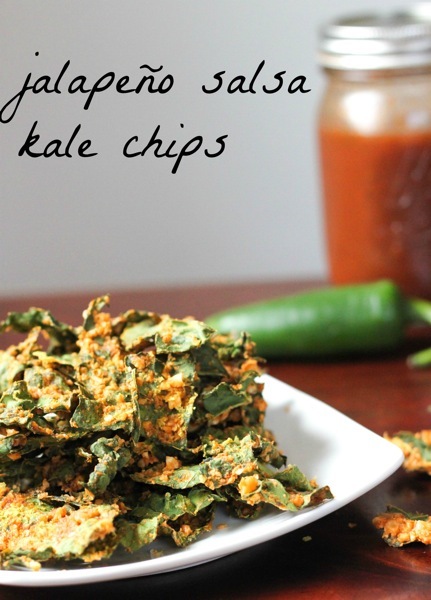 I admit-while I love kale chips when other people make them…I am always hesitant to make it myself. Thanks for the tips and recipe ideas! I’m a huge kale fan but man does it smell sometimes! LOVE kale. Kale is a staple in our home. I probably make something with kale at least every other day… My husband is starting to wonder when we’ll be off the kale phase. 🙂 I say never. Is the flavor between the dinosaur and the curly kale different? They only sell curly where I live but I love it. It goes in everything, but my favorite way to make it is with onions and mushrooms (sauté onions, mushrooms, and garlic, salt and pepper; add in kale; add veggie broth and let simmer until kale is cooked). 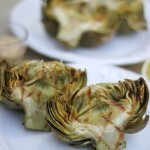 Such a good and flavorful side dish. i think the taste is very similar, just different textures. 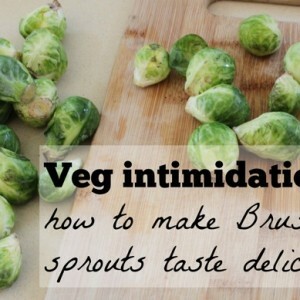 I used to hate Brussels Sprout and today I love them. LOVE kale! Crave it on the regular. I definitely had a slow warm-up to kale and think it’s a bit of an acquired taste. Knowing how to prepare it is key! Thanks for all the great suggestions. I love to sauté it and scramble in some eggs. It’s funny…I don’t think I’d even heard of it 5 years ago! Do you have any advice on how long to bake the kale for if I bake it in the oven? I’m not a big fan of kale but I’m definitely going to have to try it this way, thanks for sharing.